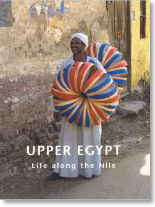 This work describes life in the southern part of Egypt in the twentieth century and details represents some of the most recent social and cultural research in the area, focusing on aspects of Egypt that tend to be overlooked. Based on first hand knowledge of local conditions, this is one of the few books contributing to our understanding of this neglected region. The book contains articles on agriculture and irrigation, language, religious life among Muslims and Christians, Sufism, customary law, crafts and craftsmen, and tribalism. 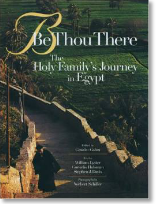 Internationally acclaimed Coptic scholar and director of the Coptic museum in Cairo, Gabra, assembles a rare itinerary of the Holy Family's travels in Egypt, when Jesus fled Herod's deadly decree. The selection of sites is based on a blend of trust, oral tradition, innuendo, politics, and economics. 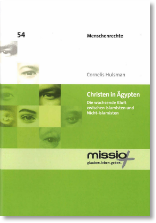 For those desiring to explore a side of Egypt removed from the pyramids and pharaohs or seeking an introduction to the Christian traditions of that country this volume will be helpful. Although not a work written by CIDT, this tremendous work deserved highlighting. At almost 1000 pages and with 42 distinguished contributors, this beautiful volume is the best introduction to Christianity in the region where it stemmed. 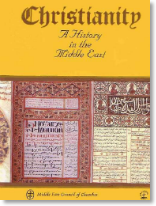 Detailing the rich cultural and religious traditions in the region, this volume also provides a unique insight into how Middle Eastern Christians view their own history.